The famous Esquerra Eixample district is one of Barcelona's most popular areas. In it you will find traditional markets such as the ninot market. The location is perfect as it’s between Plaza España and Plaza Universitat, two of the most popular squares in Barcelona. 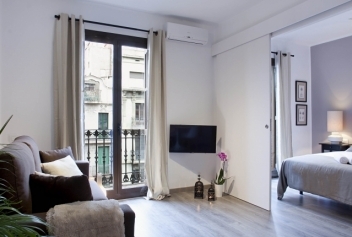 Discover our apartments in the Eixample Esquerra below. 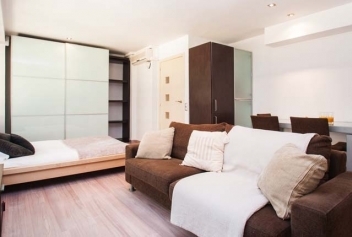 This modern apartment for 6 people is located just minutes from the Ramblas, Plaza Universitat and Paseo de Gracia. The apartment has a spacious balcony is located on the first floor. 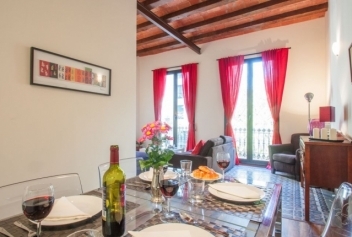 This lovely apartment for 4 people is located in the Eixample esquerra minutes from Passeig de Grace, on the third floor of a building with a lift. 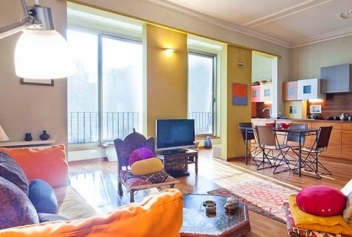 3 bedroom apartment for up to 5 guests with terrace located in the heart of Eixample.